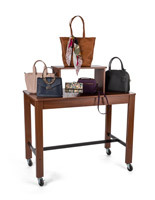 This brown nested wood shelves for tables is a wonderful way to enhance your retail store merchandising displays. 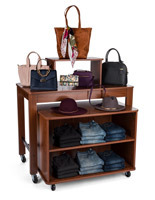 Nine adjustable shelf height settings accommodate a wide range of clothing apparel and fashion accessories. 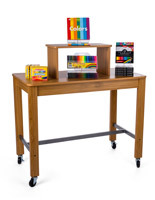 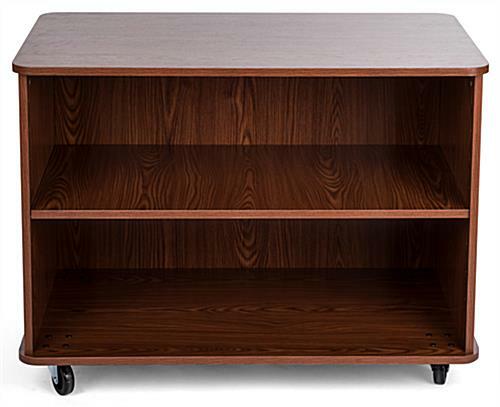 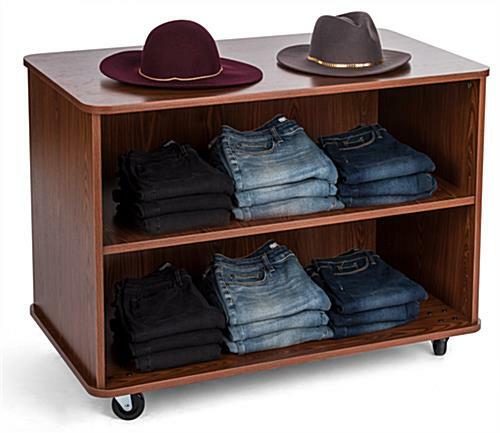 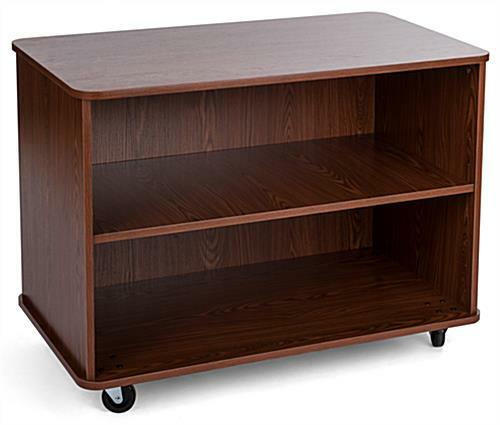 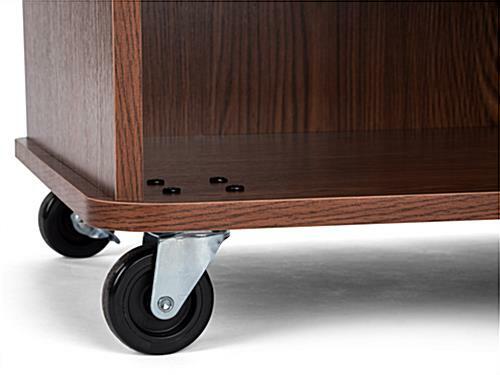 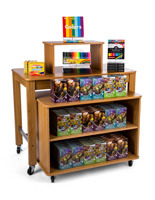 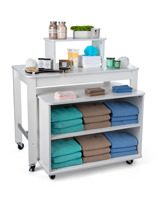 Wheels allow you to conveniently roll the nested wood shelves from one area of your retail store to another. 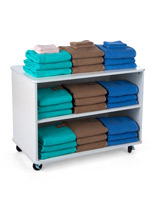 A large surface area provides ample room for displaying fashion accessories such as shoes or t-shirts. 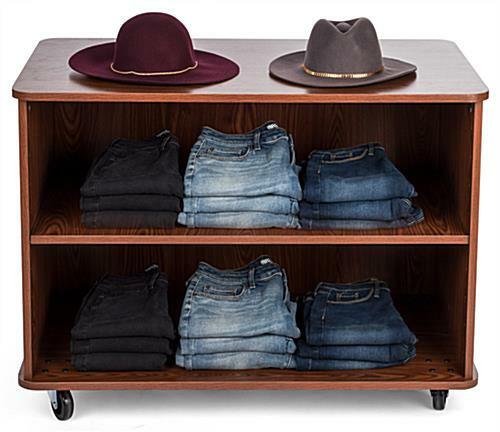 The interior shelf is perfect for stacking folded clothing apparel. 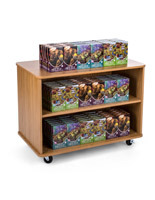 These nested shelves are a must-have for any retailer that takes pride in their merchandising displays!